"Acoustic fields are unexpectedly richer in information than is typically thought," said David Dowling, a professor in U-M's Department of Mechanical Engineering. "The techniques my students and I have developed will allow just about any signal to be shifted to a frequency range where you're no longer confused," said Dowling, whose research is primarily funded by the U.S. Navy. Sonar arrays are typically designed to record sounds in specific frequency ranges. Sounds with frequencies higher than an array's intended range may confuse the system; it might be able to detect the presence of an important contact but still be unable to locate it. With the recorded sound translated into frequencies, Dowling puts his technique to use. 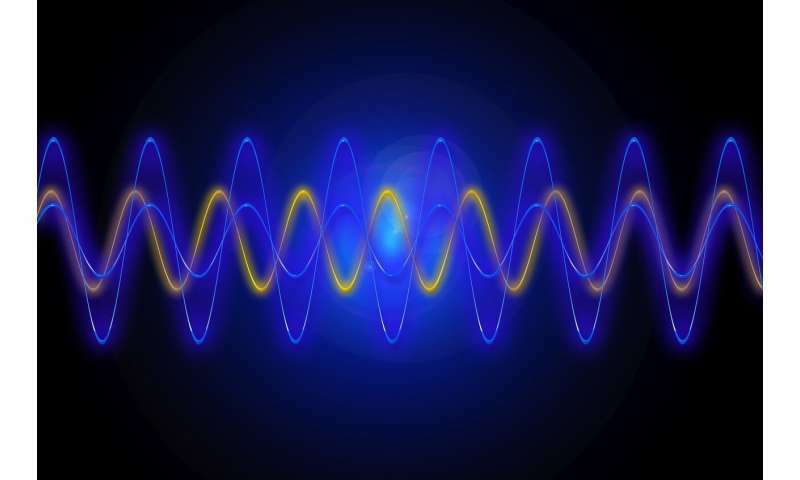 He mathematically combines any two frequencies within the signal's recorded frequency range, to reveal information outside that range at a new, third frequency that is the sum or difference of the two input frequencies. "This information at the third frequency is something that we haven't traditionally had before," he said. In the case of a Navy vessel's sonar array, that additional information could allow an adversary's ship or underwater asset to be reliably located from farther away or with recording equipment that was not designed to receive the recorded signal. In particular, tracking the distance and depth of an adversary from hundreds of miles away—far beyond the horizon—might be possible. And what's good for the Navy may also be good for medical professionals investigating areas of the body that are hardest to reach, such as inside the skull. Similarly, remote seismic surveys that parse through the earth seeking oil or mineral deposits could also be improved. "The science that goes into biomedical ultrasound and the science that goes into Navy sonar are nearly identical," Dowling said. "The waves that I study are scalar, or longitudinal, waves. Electromagnetic waves are transverse, but those follow similar equations. Also, seismic waves can be both transverse and longitudinal, but again they follow similar equations. "There's a lot of potential scientific common ground, and room to expand these ideas." Great news, this! I wonder if the seismic sound waves or ground penetrating radar can then also be tuned to look for and even image the fossils buried underground. That would be truly exciting.